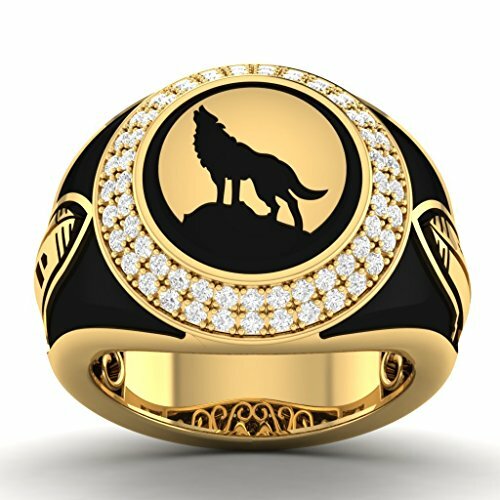 Vijisan 1.74 Ct Gothic Collection Round Stone Wolf Ring in 925 Sterling Silver For Men [AMR2487]@6699 Rs [Mrp:-11400] - Onlinedeals.discount - A leading product discovery website. Find the true prices of products, read reviews and buy top brand products at reasonable prices. 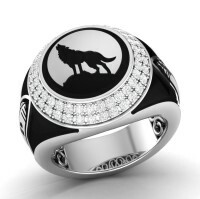 This Wolf Ring has been set with high quality of Cubic Zirconia Crystal. Your jewellery comes in an elegant Gift Packaging. Enjoy 30 Day Replacement Warranty For manufacturing defects. The image has been enlarged for better viewing. Product shown may not confirm to actual size. 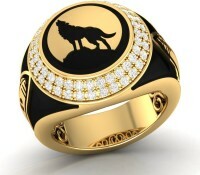 This is Ring exclusively selected for our Gothic Collection. Crafted in 925 Sterling Silver and studded with high quality of Cubic Zirconia Crystal. Best suited to wear for everyday use with contemporary style and looks! LegalDisclaimer Product color may slightly vary due to photographic lighting sources or your monitor settings.